This past weekend–while I was driving up Route 3–I tuned to one of those standard “lite radio” stations, only to find that the disc jockey was playing a special “On this day in 2006” program. Always a sucker for nostalgia, I left it on. The songs were a bit of a blast from the recent past: Alannis Morisette (she had just put out her “comeback album”), Matchbox Twenty, some other rock ‘n’ roll bits. But the most interesting part, to me at least, was the inclusion of a conversation about Facebook. I’m not sure how much his assertion rings true, considering that every finals week about 1/2 of my friends delete their accounts in order to eliminate a major distraction, and thus, fit neither the social outcast nor “old person” requisite. But there is a nugget of truth in the fact that if you don’t have a Facebook, you are missing out. As part of engage, or, civic engagement @ Wesleyan University, two Facebook pages–the Office of Community Service and Patricelli Center for Social Entrepreneurship–have been created in order to more closely connect with students. 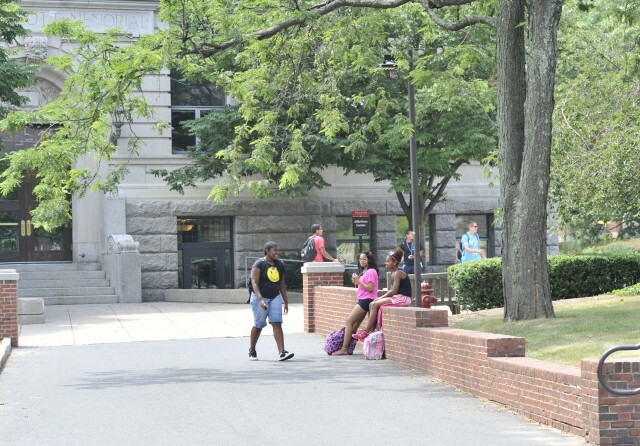 We hope that the inclusion on Facebook of these offices and students resources on campus will offer students a better idea of how to get engaged with Wesleyan and the greater Middletown community.